We were hosted by the DCU Center and Cirque du Soleil in exchange for this review. All opinions are our own. I couldn’t have been more excited when I received and invitation to a behind the scenes tour of Cirque du Soleil’s new touring show Toruk! Cirque shows are by far the most stunning and imaginative performances I have ever seen. Toruk – The First Flight will be the seventh Cirque du Soleil show I have had the pleasure to attend. The acrobats, sets and costumes are like nothing you’ve ever even. The new Cirque du Soleil touring performance inspired by James Cameron’s record-breaking movie AVATAR, TORUK – The First Flight, will be presented at the DCU Center on December 11 – 13, 2015. 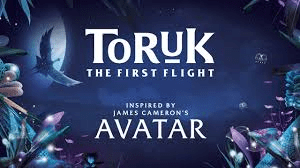 TORUK – The First Flight, inspired by James Cameron’s AVATAR, a live experience by Cirque du Soleil®, envisions a world beyond imagination set thousands of years before the events depicted in the film. The word Toruk, in the Na’vi language, refers to the great leonopteryx, the mighty red and orange predator that rules …the Pandoran sky. Central in Na’vi lore and culture, this fascinating creature is crucial to the Na’vi clans’ sense of destiny and interconnectedness – and is about to be ridden for the very first time by a Na’vi. We were lucky enough to be invited backstage to see the makings of the incredible show as well as speak with some of the performers. Unlike in past years, Cirque Du Soleil has changed everything up to create this visually dynamic experience especially for indoor arenas. The set consists of a “green screen” esque jungle that, with the help of lights, create extraordinary colors and movements to complement the acrobats and story that is based upon James Cameron’s Avatar. With a cast of 35 and crew of 100, the group will be performing their final preview performance right before taking off for the world premier in Montreal, Canada. Interestingly enough, Cirque Du Soleil added on to the story of Avatar by creating new creatures and adding different clans. Along with the original tribe, Omaticaya, there will also be an Ahurai, Tawkami, Tipani, and Kekunan tribe. These were all developed with the approval and help of James Cameron and could also possibly influence what is seen in the upcoming Avatar films. 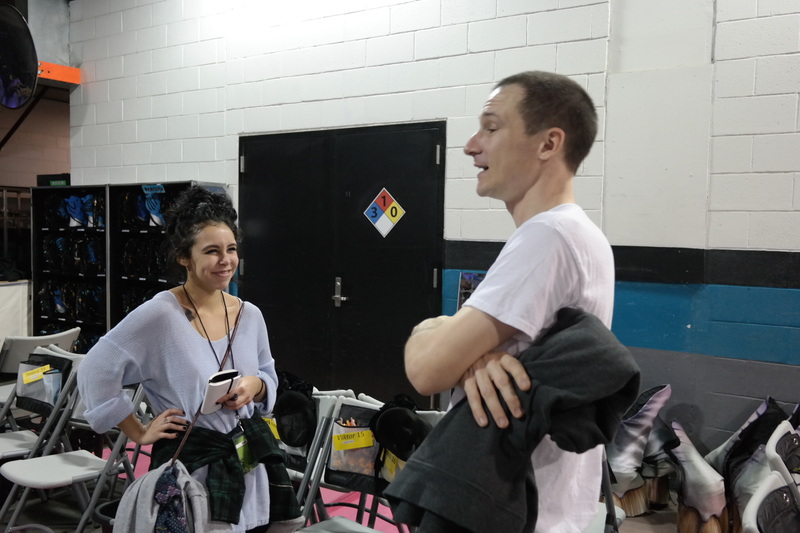 We also spoke with Sebastien Clarke, a kite specialist and prominent figure in the choreography of Toruk. He explained the lengthy process of auditioning that included having to record a video of himself in a large space and then “filling it up” with his movements. He described his kite moves as “ice skating” which, after seeing first hand, I could definitely make the connection. Along with kite specialists, for the first time ever they brought in puppeteers who will complete what already seems like an otherworldly performance. All of this took about four months to create, a success in itself seeing that an average set is built-in six months. It is very obvious that the creators, performers and everyone involved truly love what they are doing. The fun, optimistic spirit is sure to carry on backstage when they open their doors to the public. Make sure to come on out and see this dazzling show before they take off on their world tour! ❮ ❮ Give the Gift of Green this Holiday Season – Boston Celtics Tickets!